MIKRON Receives WMIA Partner of the Year Award! Don Lea Lumber Ltd. has it all! 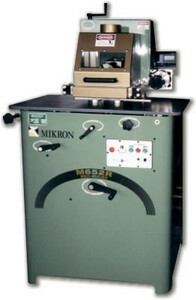 Welcome to the MIKRON Family of Woodworking Machines! High-quality, innovative tools for woodworkers and cabinet makers everywhere. Finalists were selected in the 2017 AWFS Fair “Visionary” New Product Awards and Showcase with 33 products from 27 companies. The winners will be announced Friday, July 21 at 9:15 a.m. on the AWFS Fair Stage, booth 5527. Best New Woodworking Machine for Architectural Laminating to Date! 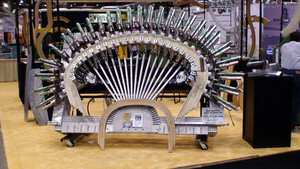 Our new Elliptical / Arch Forming Rack Machine received rave reviews during the 2007 Association of Woodworking & Furnishings Suppliers show in Las Vegas. 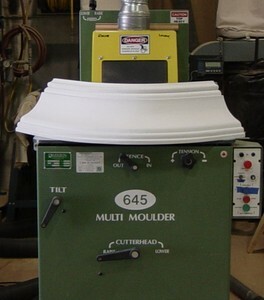 The MIKRON M645 Multi-Moulder is a versatile moulding machine, capable of handling many different kinds of results. From simple, straight mouldings, curved mouldings, circular mouldings, to bar rails and stairs, the MIKRON M645 is designed to meet your most demanding requirements. Create completely new moulding styles or use the MIKRON M645 to match existing mouldings—including restorations to original architectural moulding styles designed over the last several hundred years. There is no limit to its capabilities. A new generation of moulder... When MIKRON's engineers designed the MIKRON M652R Multi-Moulder and Router, they made sure that they kept all the same, powerful features of the MIKRON M645. Then they added routering capabilities. That means, with just a few simple steps, you can replace the spindle with a router mount, providing you with the means to easily router insets and channels on both straight and curved mouldings — ideal for windows, mirrors, pictures, paintings, cabinets, doors, flooring and more! And that's only part of the capabilities of the M652R. 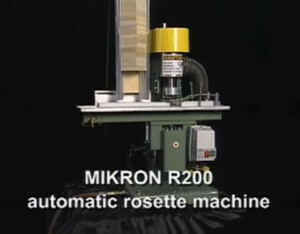 Production capacity is what drives the MIKRON R200 Automatic Rosette Maker, and producing up to 500 rosettes per hour with this powerful tool is a cinch. Productivity. Portability. Reliability. Keywords that are synonymous with the MIKRON R200. 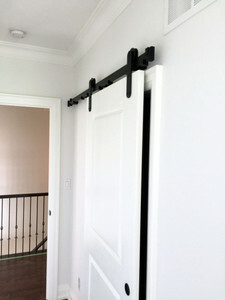 The Mikron barn-style door track system allows you to hang a barn-style door in your home. While other tracks offer similar functionality, these systems lack the ability to be adjusted. This can make mounting very difficult when proper blocking has not been planned in advance.